Today, Music has become the elixir for everyone. Music is an integral part of our daily routines, be it a morning jog or an office commute or a party with friends, people are glued to their favourite songs anywhere and everywhere. But what’s music without a quality accessory? Well, oraimo the smart accessories brand from TRANSSION Holdings is here to put all the music woes at bay. The brand has announced the launch of its new set of uber cool headset in India, Studio OEB H66D. The ergonomically designed headset has capabilities par excellence and redefines the auditory experience. With the comfort of round ear design, the Studio headset is embedded with cushioned ear tips and HD sound that makes long listening sessions a joy. Priced at INR 2999, Studio is the perfect companion on the move. With exceptional design and easy control features, oraimo Studio delivers high definition audio experience. 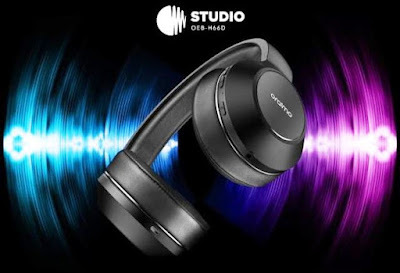 The headset is equipped with Bluetooth Version 4.2 and connects easily with any smart device. With upto 200 hours standby time or 20 hours play and talk time, Studio is the perfect everyday companion. The superbly comfortable design features round ear design and comfort cushioned ear cups allowing you to enjoy long music sessions without any hassles. These contemporary pair of headsets can be purchased from various mobile accessories and electronics stores across India. Oraimo is offering One-Year replacement warranty on its Power Bank's, Bluetooth-Enabled Devices (Earphones and Speakers), Batteries, Flash Drives, Chargers, and Wearable Devices, as well as a Six-Month replacement warranty for its Data Cables and Earphones and life time replacement for its Micro SD Cards.